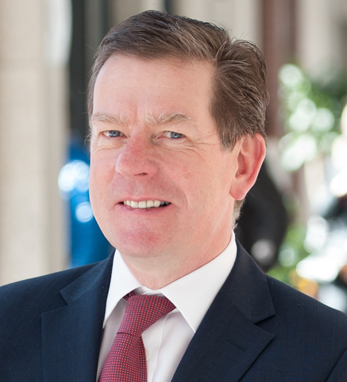 Kieran Murphy is President and CEO of GE Healthcare, a $19 billion medical technology and life sciences business that provides transformational technologies and solutions to the global healthcare industry. GE Healthcare supports customers in over 100 countries with a broad range of services and systems, from diagnostic imaging, monitoring, and digital solutions through to molecular diagnostics and life sciences. He was previously President and CEO of GE Healthcare Life Sciences, a $5 billion molecular medicine business that provides a broad range of industry-leading technologies and services for drug discovery, pre-clinical, and clinical development and biopharmaceutical manufacturing, as well as molecular tools for diagnostics, therapy selection and treatment monitoring in patient care. Kieran was CEO of Whatman plc, a global supplier to the laboratory research, life sciences and medical diagnostic industries, prior to its acquisition by GE in 2008. Kieran began his career with Janssen Pharmaceutical, a division of Johnson & Johnson, followed by leadership roles with Mallinckrodt, veterinary medicines provider Vericore, Novartis, Adprotech, ML Laboratories and Innovata plc.